Best “‘Vette” For Your Buck! 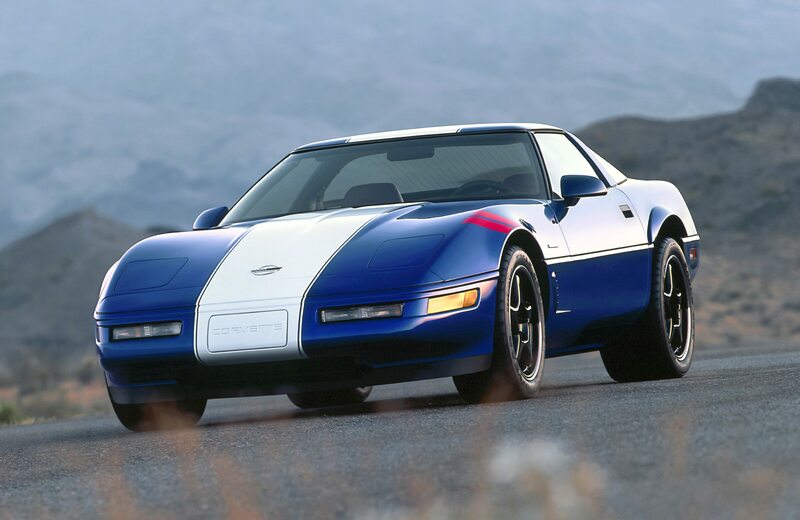 The 1993 Corvette ZR-1 Coupe. Think a Corvette Is Out of Reach? If you grew up in the past half-century, then its likely you’ve day-dreamed, wished-for, maybe even obsessed-over the possibility of purchasing a Chevy Corvette. 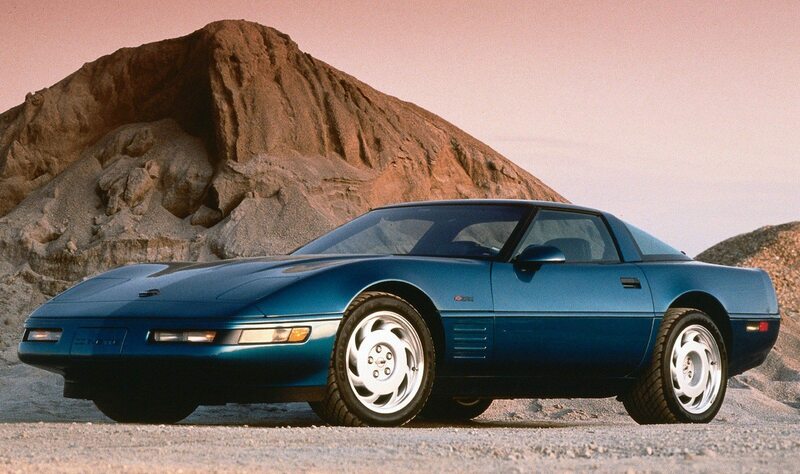 For many of us, the dream of owning a Corvette used to be out of reach. While a new Corvette still costs thousands (even tens- to hundreds-of-thousands) of dollars less than most other dream sports cars, the asking price of a new Corvette has always been at the high-point of the “working class” car-buying budget. Moreover, the car’s two-seat cockpit made purchasing a Corvette as a daily driver completely impractical for anyone with kids, and its lite curb weight made it completely impractical for anyone living north of the Mediterranean (for at least during the colder months of the year). Simply put, the cost and impracticality of a new Corvette simply wouldn’t allow for a third, “fun” car to join the more sensible family sedan or mini-van in most driveways. However…. 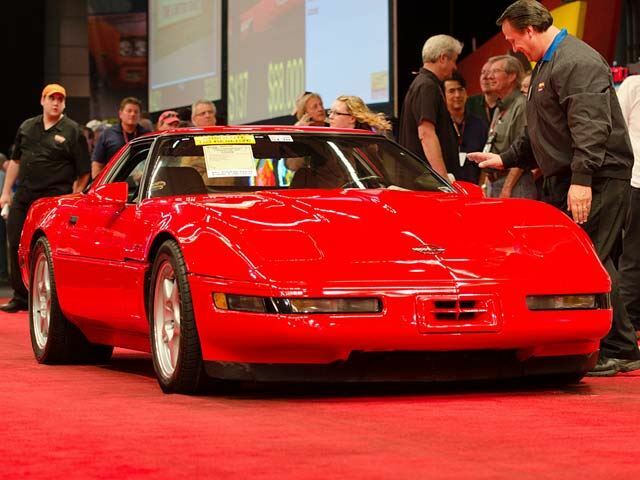 A fourth-generation Corvette crossing the auction block at auction. As successive generations of new Corvettes have evolved the brand into ever-higher levels of performance and handling, the models that came before have become increasingly affordable. While this statement is true of almost all Corvette’s built in the late twentieth- and early twenty-first century, it has never been more true than for the fourth-generation Corvettes built from 1984 to 1996. If Corvette ownership has always been on your radar, but price and practicality have ruled the day, then perhaps now is the time to consider making a modest investment into a used C4 Corvette! The C4 Corvette was introduced in 1984 by Chevrolet as the first completely original re-design of America’s sports-car in generations. While early examples (1984–1986) offered limited horsepower (the 1984 model produced just 205 horsepower and 290lb/ft of torque), the car was developed to corner and handle well on aggressive road courses. In 1986, Chevrolet re-introduced a convertible-version of their beloved sports-car, an option that hadn’t been available since 1975. 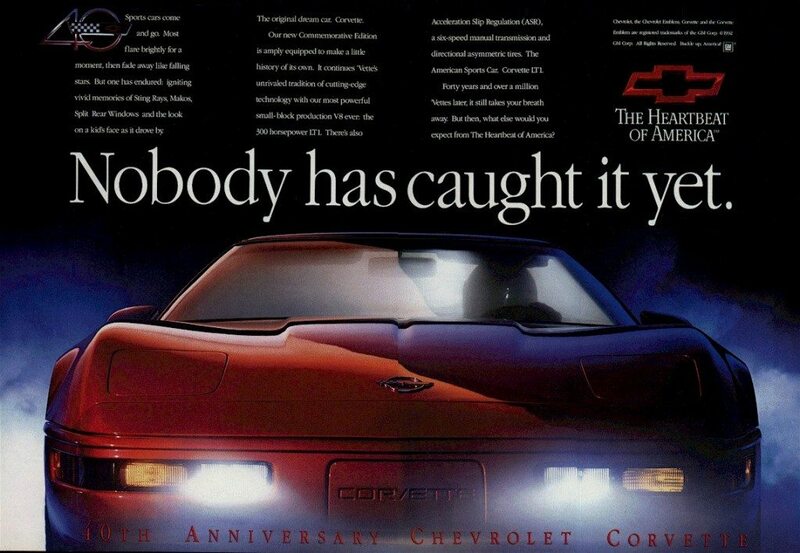 1993 Chevy Corvette Advertisement – Image courtesy of GM. Horsepower continued to improve with the introduction of different fuel-injection platforms and, later, better engine/powerplants, but the pinnacle of the fourth-generation Corvette was the arrival of the 1990 Corvette ZR-1. The ZR-1 catapulted the C4 Corvette from sports-car to super-car, boasting massive horsepower that rivaled many of the German and Italian sports-car contenders (including Porsche and Ferrari) at a price-point that was, while still expensive, far less than ts European equivalents. 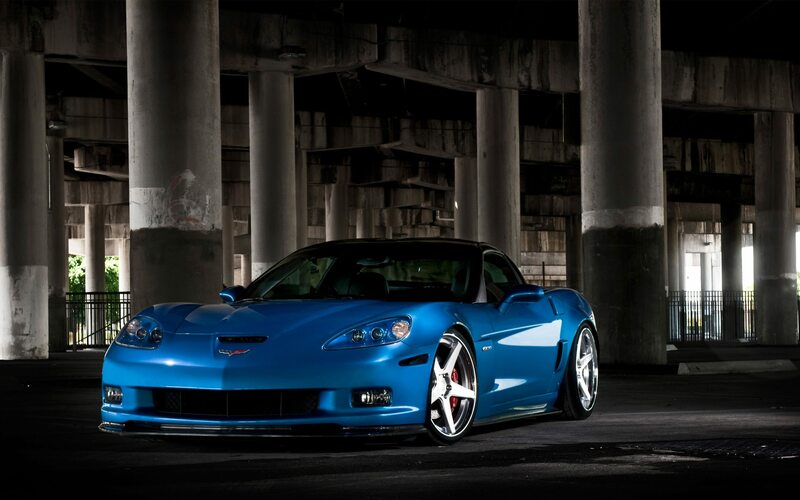 The attention that the ZR-1 Corvette received globally pushed Chevrolet to bolster the entire Corvette platfrom. In 1991, the base coupe and convertible models were creating just 245 horsepower from their L98 engines. A year later, with the introduction of the multi-port fuel-injected LT1 engine, the base models were now boasting 300 horsepower! 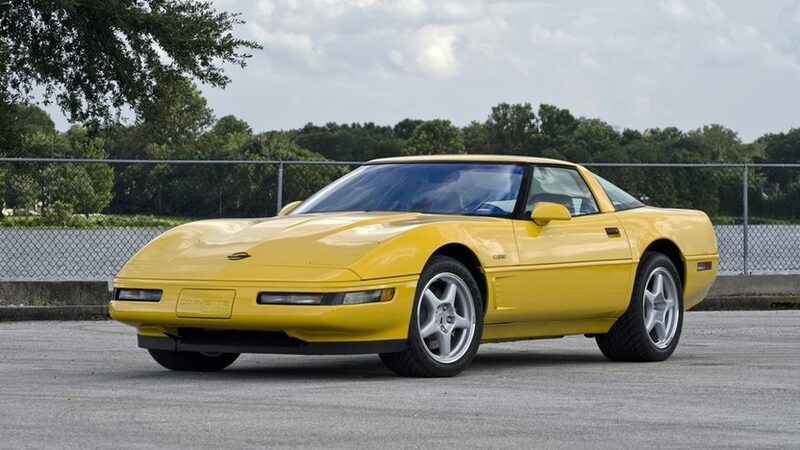 By 1996, after a twelve year production run, Chevrolet felt it was time for the Corvette to evolve again, but not before sending the then-current fourth-generation off to pasture with a special Collector’s-Edition and Grand Sport models. Each version of the car, along with all 1996 C4‘s equipped with a manual transmission boasted an output of 330 horsepower from their LT4 engines. 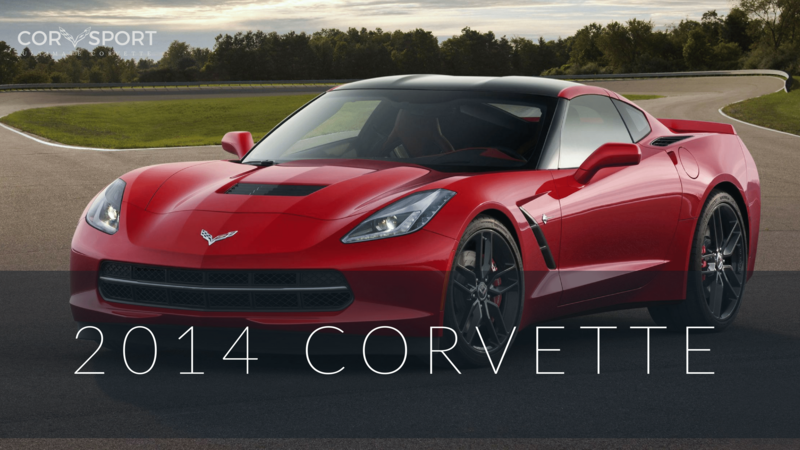 Since 1996, the Corvette has evolved considerably into a world-class sports car. The current seventh-generation Corvette Stingrays (the base models) boast 460 horsepower and claim 0-60 times in less than four seconds. That power comes at a cost – and, as we said at the start of this article – puts the current Corvette out of reach for many of us. Consider this too – how often do you really NEED 460 horsepower? Sure, mashing the pedal of a new Stingray to the floor will throw you back into your seat (and, speaking from experience, it IS a lot of fun). 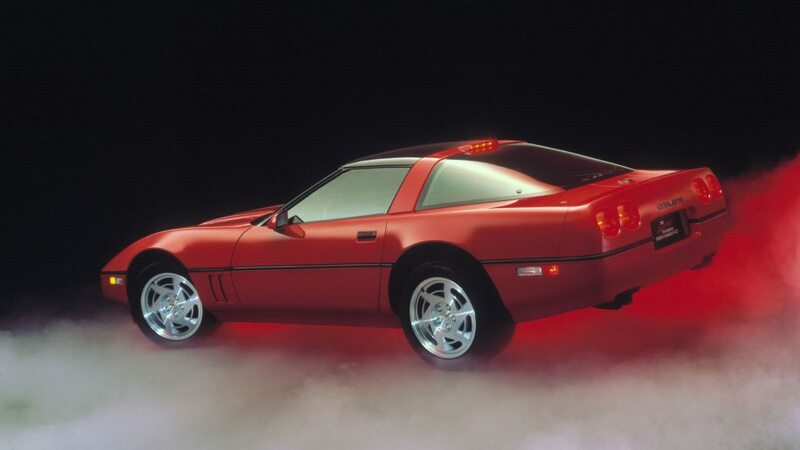 However, you might be surprised to discover that, for a fraction of the cost, you can buy a C4 Corvette that will deliver just as much fun without breaking the bank. Best part? Average asking price for a 1992-1996 Corvette (excluding the Grand Sport and Collector’s Edition models) is between $8,000 and $10,000.00 with reasonable mileage. Want the exclusive Grand Sport or Collector’s Edition? You can find one of those for around $15-16k, which is still an incredible deal for that level of power and performance. If you can accept that the car’s strongest quality will be it’s handling, not its acceleration, then you can save even more by looking at earlier examples of the fourth-generation Corvette. The 1984–1991 base models vary in horsepower, and accordingly, in price. 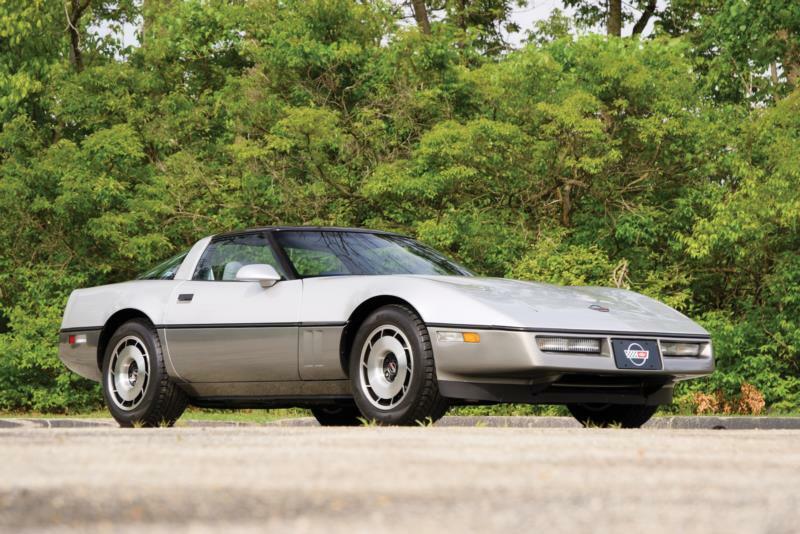 But most of these eighties-era Corvettes can be purchased for well under $10k – with many examples available for less than $5,ooo bucks! Admittedly, $5,000 may not buy you the nicest Corvette on the market today, but it will put you behind the wheel of America’s favorite sports car. Additionally, these older examples of the Corvette lineage are far less expensive to maintain, and there is an abundance of parts – both new and aftermarket – still available for them, making both upkeep and upgrades very affordable. For those of you who have come this far and said, “that’s all fine and good, but I want an affordable AND powerful Corvette,” not to worry, we’ve got you covered too. 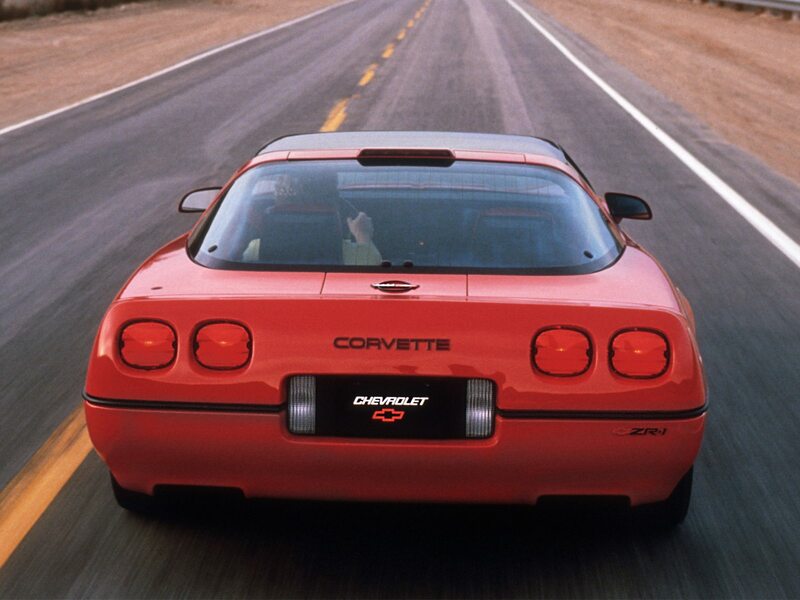 When introduced in 1990, the ZR-1 Corvette retailed for nearly $60,000.00, which is on-par with today’s Corvette prices. It also boasted a 375 horsepower LT-5 engine that could produce 0-60 times of just 4.5 seconds, and a quarter mile time of just 12.8 seconds, reaching a speed of 111 miles per hour. Better still, it had a proven top-speed of 175 miles per hour. When you compare those spec’s to today’s Corvettes, you’ll find that Chevrolet was pushing the same performance boundaries back then that they are today. But here’s where buying a 90’s era ZR-1 gets especially enticing. 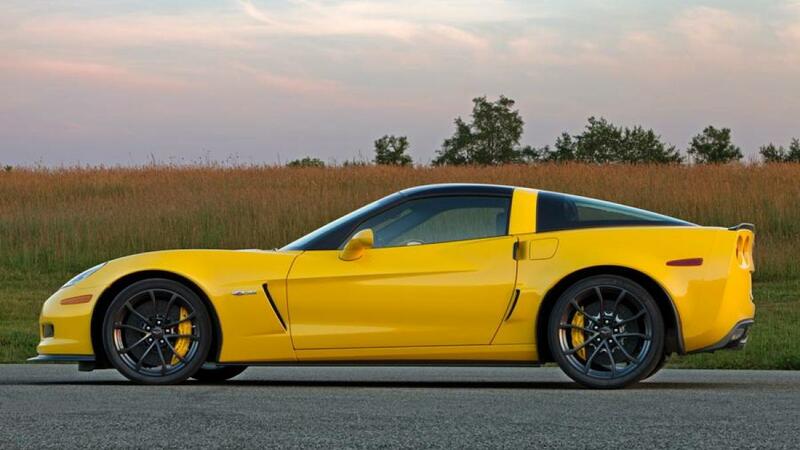 When you begin shopping for a C4 ZR-1 Corvette, you’ll be shocked to discover – as we did – that there are MANY examples that are available for less than twenty-thousand dollars (U.S.). Most of these are going to be higher-mileage vehicles (average mileage between 70-100k miles), but that’s still an incredible value for a car that cost more than three times as much when it was new! Even if you’re looking for lower-mileage examples, there are an abundance of 1990–1995 ZR-1 Corvettes available for between $20k-25k with low miles that look amazing – many of them look like they’ve lived on the showroom floor their entire lives. Okay, so some of the ZR-1 models are still a bit pricey, approaching the territory of un-affordable AND impractical, but setting those aside and looking at the hundreds (if not thousands) of base model coupes and convertibles that can be had for less than $10k, would it be worth considering a Corvette as your daily driver? For us, the answer is MAYBE. Reliability as a daily driver aside (in our opinion, Corvettes are no more or less reliable than many other car from that era), we are still talking about buying a used, decades old sports-car here, and we have to consider some things. First, consumers didn’t buy their Corvettes new to go and buy groceries, pick up dry-cleaning, etc. They purchased them because they were powerful driving machines that could go fast and hold the road thru a hairpin turn. Some were driven hard. Some were driven VERY hard. Even for those that weren’t, these Corvettes – like the rest of us – are aging. They are more likely to have their own “creaks and groans” like anything that’s got a few years under its proverbial belt. They’ll be prone to more maintenance than a newer car. A well-maintained Corvette will last for generations, but some amount of work will be required to keep it road-ready. Still, as this generation of Corvette has become imminently affordable (especially when compared to just about ANY new car), picking up a mid-80’s era Corvette for a few thousand dollars and driving it until it “dies” might be an affordable – and incredibly FUN – way to make that daily commute back and forth to your place of business. Here’s the best reason to buy a C4 Corvette – because you won’t find a better two-seat sports car anywhere for the price point of a C4 Corvette that offers as much power and handling for the money. We’ve been fortunate enough to drive a number of these amazing cars, and the fourth-generation Corvettes are definitely a worthwhile investment. While they may lack the performance numbers of the newer models, there is no question that they are still some of the most fun, best performing machines you’ll find for the price. 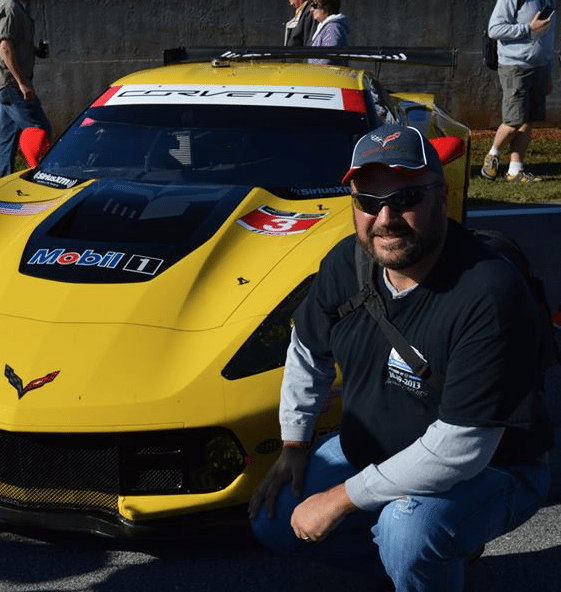 More than that, buying a Corvette is your ticket to become part of a global-community of other Corvette owners. Clubs and organizations all over the country (and around the world) routinely participate in all sorts of cruise-ins, racing events, charity and fundraising drives, cross-country tours, and more. The ages of owners are as varied as the cars themselves, and its not uncommon to find a group of twenty-somethings driving their base model mid-80’s coupes in a caravan alongside a pack of brand-new 2017 Corvette Z06’s as they make their way together to a homecoming event at the National Corvette Museum. Great article, fairly spot on as well. I’ve got a ’95 with 120k miles on it, and it feels like a car that’s only 3 or 4 yrs old, yet somehow also has that old school muscle car feel(but without the muscle car sloppy steering). If neglected they can be rattle traps, if maintained they’re surprisingly smooth and quiet(mine has no squeaks or rattles).